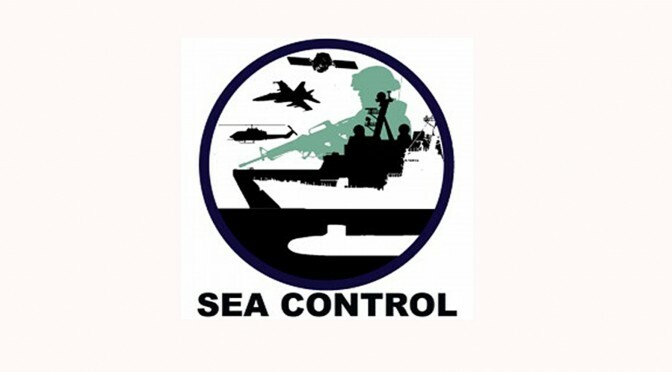 Join the latest episode of Sea Control for an interview with Lieutenant Jack McCain, an instructor at the U.S. Naval Academy, about the theme of this year’s Naval Academy Foreign Affairs Conference: A New Era of Great Power Competition. Joined by recurring special guest Michael DeBoer, the group talks about the role of navies for great powers, the perils of over-reliance on technology, and Jack McCain’s new book Angola, Clausewitz, and the American Way of War. Listen to the audio above or read the transcript below of the conversation between Sally DeBoer (SD), Jack McCain (JM), and Michael DeBoer (MD). Production credits go to Associate Producer Ryan Uljua. SD: The theme of this year’s conference, A New Era of Great Power Competition? is of particular interest to our listeners here at Sea Control and our readers at CIMSEC. We’ll start off by asking each of our guests to characterize their thoughts on the importance of this discussion in our current dynamic international system. LT McCain, you first – specifically, we’d be interested to hear your take on why this discussion is important for tomorrow’s military and civilian leaders to be having here at NAFAC. JM: I think this year’s conference topic is very prescient and very present in that this is something that both our youth and our policymakers are beginning to have to grapple with, this idea of are we actually in a new era of great power competition? It is interesting to watch, and the thing I drew out most from this conference is this a whole new set of challenges that my students and our conference participants are being socialized into as a generation. Great power competition is not new to the U.S. or the world, but in the post-Cold War world, the U.S. was in a unique position and didn’t have to consider the nature of great power competition. We probably should have been, but we were lucky in that respect as the last standing superpower. We went back and forth about whether to call the last 25 years a unipolar world, but what really stood out was the sparking of a new conversation to drive some ideation and really examine the implications and realities of just what this great power competition may look like in the future. SD: One thing that I noticed among the panelists and participants was an effort to wrap one’s head around what makes a great power – a lot of that discussion went toward Russia and China. In your opinion what defines a great power? JM: After spending a week at a round table where the goal was to try to define this issue, I have fewer answers than when I started. Our discussion really led us down a couple of roads, and everyone was in basic agreement that military power is a component of a great power, and it really came down to naval power, which was almost viewed as [the most] important form of military power. It was very interesting, I had juniors in college from civilian institutions bringing up Mahan, which left me both heartened and surprised. I would agree that military power takes a significant role in what determines a great power. I would place more emphasis on military power than economic power, based on the idea that without security, [a] nation can’t survive, but the notion of how that military power, as well as economic and diplomatic power, are utilized was really the interesting part of the conversation in asking the question does a great power also have to be a moral power? Do they have to be a power that other nations, aspiring powers, or revisionist powers, want to emulate? That motivated a significant portion of our conversation in asking does a respect for human rights have to be a part of a great power? A balance of military and economic power are your two core components in my opinion, but the idea of social or cultural power [was also discussed]. The U.S. has consciously or sub-consciously been the sole dominating cultural force for both better and worse for about the last 50 years. Everyone knows rock n’ roll and blue jeans, and the Golden Arches are all over the world, so does that cultural power translate into becoming a great power? I probably would have said yes before the conversation this week, and now I am not so sure. MD: I guess that I would say that a great power has the ability to shape events outside its own borders, and there are several vehicles to do that. While I think it would be convenient for us to say that naval power is most important in international great power status, I am not necessarily sure that is always true. I certainly think naval power is important, but I think that may not recognize a generation of great powers that were land powers. 19th century Germany, certainly a great power, had limited naval power, or Russia, certainly a great power with limited naval power. I would caution against thinking that the ability to project power overseas is the only way to affect events outside your borders. But, it certainly is extremely helpful and provides a ton of flexibility. SD: During the Technology and Cyber-Competition Panel, author of Ghost Fleet August Cole told the audience, “The writing process caused the authors to confront some uncomfortable truths.” The American way of war, he said, is predicated on a technical superiority that isn’t necessarily in line with our evolving reality. The reliance on tech creates a vulnerability, and through the lens of great power competition, we should be thinking about the difference between our assumptions about conflict and how conflict will actually be. What are your thoughts on this, and what can the U.S. do to manage, or even socialize, this reality among policymakers? JM: While thinking about this question, WWII came to mind. When you look at the way the U.S. military views technology [today], it’s very similar to our own attitudes pre-WWII toward the Japanese navy. We believed in our inherent superiority, that one technology (the battleship) would play the biggest role in any naval confrontation. Circumstances after Pearl Harbor drove a refocus, rebalance, and forced us to start thinking about problems in more creative ways than we had anticipated. The true heroes of the Pacific were the submarine and the aircraft carrier, as well as the individual Marine with his rifle. That’s how I started thinking about this – what would force that creative flexibility today? Not only was Ghost Fleet an amazing book, but I agree with Cole that the U.S. military is hyper-focused on technology. You hear innovation in just about every conversation in the U.S. military right now, and this usually implies greater reliance on some sort of tech as a time or space saving utility. What has been so surprising, especially in the cyber realm, is that we believed we knew what cyber ops were going to look like. They would be attacks on infrastructure – but cyber operations or Information Operations have taken a very different tack recently and did not shape up the way we thought they would – things like election influence or the idea of seizing and shaping the strategic narrative through social media, [combined with] overt and convert sources, has been incredible to watch. That is one place that the U.S. is far behind, seizing the strategic narrative. As a democratic society, moving a single narrative is very difficult, as an open and free society – our ability to shape a narrative is countered by what we would have previously believed to be just overt propaganda which is now, due to the power of social media, not necessarily taken as such. SD: How realistic are our policymakers about this reality and what can policymakers do to socialize this reality? JM: That’s a tough question – I think without delving into anything political, in a general sense, this is a problem that is going to force policymakers to have to take action. What that action is will be hard to predict, in a liberal society we can’t just censor messages we don’t like. I think having policymakers that can seize on the strategic narrative that is needed to support whatever it is we’re doing will be helpful. Let’s say we are in an era of great power competition, and we’re trying to maintain a narrative offensive against an adversary – we need to make sure it’s a coherent message, shaped by social media and overt policy statements by the U.S. government. Policymakers need to understand the power of social media to shape a message, (which many policymakers understand inherently because it is a fundraising tool) and just how many people will buy into that message because of its nature. The psychological impact of those messages are hopefully going to be realized by policymakers. Short of something catastrophic, this will be an ongoing problem for the U.S.
SD: Mike, I know you had some thoughts in the same realm but more along the lines of military hardware – can you expand? MD: The U.S. will likely maintain technical superiority – though I would like to say I am a fan of Cole’s and there are areas in which our advantage is eroding – there are areas where we will retain an advantage for some time. I would point to undersea warfare and sensor packages as an example, which I think will continue to exceed anything that any other great power can deploy in the near to mid-term. In the era of combat control and all the interstitial pieces that make up naval warfare, the Chinese and Russian fleets appear to be well far behind. I don’t think we should say this will last forever, but those are places where we could continue to invest and continue to make big strides to maintain major advantages in terms of systems and expertise as we go on. The other thing that’s worth at least keeping a good eye on, though it didn’t come up much in the discussion, but the hemorrhaging of technical capability in cyber both with the Snowden releases and cyber tools becoming available is putting us at a disadvantage in that arena. We need to seriously look at how we deal with the WikiLeaks phenomena and other major defense or national security disclosures, not just in the realm of whistleblowing but at a more macro level. SD: General Allen’s Forestall address discussed the five global mega-trends affecting the international system as we know it, to include the shift of economic power from West to East, demographic changes, rapid urbanization, the rise of technology, and climate change. Did you agree with the general’s assessment of these mega trends and what can warfighters do to prepare? JM: Absolutely. First of all, NAFAC was incredibly fortunate to have Gen. Allen come speak, he is a highly esteemed speaker, and he has addressed these five variables several times very articulately, [which] brings to the fore some issues we need to start thinking about as a nation if we are to maintain a great power status. The only caveat I put on that is that today, we have a tendency as a military and as a nation to believe that everything we are facing is a brand new challenge, that this is hyper-new and we have never faced it before. I find that a significant amount of my Plebes coming into the Naval Academy think everything is brand new. So, if I were to rephrase these five things or give an overall label to them, I would say “old problems, new flavor.” None of these changes…even the rise of tech and climate change are issues we haven’t faced in some form or fashion as a human race or as a nation, as a culture or society. They are different, absolutely, but if we stop thinking about them as these massive unknown challenges and look to history to draw context, this is the best way that we can start making a plan for how to address these challenges as a nation. One of the things that a keen policymaker would pay attention to is not the amalgam of all these problems but the flashpoints between them. Any one of these problems can cause a crisis, but when you have say, rapid urbanization, demographic changes, and a shift of economic power, that’s a flashpoint, and that can create conflict overnight. So, it’s not just these five things in isolation or as a monolith either, it’s the interactions between them that will be most important and represent the place where, if we think strategically about it, we can have the most impact. Gen. Allen really gave an excellent speech, I can’t say that enough. SD: It was a highlight of the whole week for me as well. Mike, did you want to asses anything? MD: One, I think that was an amazing set of statements, I really agreed with all of them. Gen. Allen was my first commandant at USNA and he is always a joy to listen to, I’ve enjoyed every time he has spoken. The things that I would add are, one, economic predictions, particularly that far out, are sometimes difficult. I think that though economic shifts are going on, they are the most likely factor to be disrupted by changes in the world’s status, and this is difficult to predict. Second, the most likely and most determinative of those is the demographic trends that Gen. Allen discussed. Demographics are certainly a major driver in the Palestinian problem, they are (in our view) driving Russia’s decline, and the China’s older vs. richer debate we’re all familiar with. These are being driven by major demographic changes, and in fact from a human capital perspective the U.S. is doing quite well with a manageable population growth. I think that might be the most “good news” story of the group, though any one of those could also be a source of potential friction, and friction leads to fire eventually. Finally, I thought another interesting thing, and I have no great answer but believe this will be a big problem – are force planning constructs in mega cities. Understanding what the U.S. military had to go through to project power into Sadr city or any of the other massive slums we’ve been operating on the edges of doesn’t paint a joyful picture of what future conflict in such an environment might breed. I believe that will be a strain on ground forces as they try to look at how to really conduct war in hostile places with masses of people – I think that outlines my thoughts. SD: The rise of near-peer competitors and the effect of that rise on the international system was certainly a central theme of the round tables and panels at NAFAC. If any, what conclusions or consensus did you draw about the rise of proto-peer competitors and what the U.S. should do to maintain its primacy? Did you hear any unique insight to this effect during the course of the conference that you could share with our audience? JM: To harken back to another point, this idea of technology’s effect, especially social media, on prevailing strategic narratives is something I have been thinking about recently, and was brought to the fore during this conference. What also really stuck out was that there is a lot of concern about China, which I understand, there’s a lot anxiety about it, but if there’s a lesson that can be drawn from the last 16 years of warfare or even longer, it’s that we have a tendency toward fixation as a society with regard to military operations or the general idea of power dynamics in the international system. We like a boogeyman, and we had a convenient one in the USSR for a long time, but this draws our eye off the ball from places that it should be. Just like Korea – that was the last place anyone expected what became the proxy war between the two great powers of the time with China folded in, and that kind of lack of strategic depth puts us at a disadvantage. When we over-focus or hyper-focus, we end up undermining our own ability to think strategically and get sucked into a tactical “how do we deal with tomorrow’s challenges” problem. That was an overarching point. We should try to avoid being hyper-focused on one enemy or problem, because there are many challenges for us to face if we wish to maintain a great power status, and this excessive focus or worry on one of them ends up biting us later on, or at least it]could. MD: The only thing I would add is that the likely most important thing going forward is to start separating and trying to focus, not narrowly but precisely, on national interest. This means moving back to a model that we became very comfortable with in the Cold War but have lost comfort with. This model is identifying and aggressively pursuing national interest against competitors. This aggressive pursuit is, at times, lacking, not to criticize any individual or administration, I think that we’ve been too expansive and too reductive in defining our national interests, and as we move into an era in which we certainly have competitors interested in playing zero-sum games about national powers, we must become much more steely about the way we implement that national power abroad. SD: LT McCain, I would like to take a moment specifically to talk to you about your forthcoming book. Can you tell us a little bit about your debut title? JM: Absolutely! I think I may have been a little overambitious with the title. It is an attempt to sum up all of the thoughts I had in the book, so I rolled them into this ambitious title. It is a short book, it is not something that you’ll have to read over a period of days, it’s only about 115 pages, so it’s not any lengthy endeavor. But, I started this as my graduate thesis, and it grew out of there. When I sat down to think about what I wanted to write, I have always been interested in the South African border war because of my experiences in Africa, it is a conflict that no one discusses, but there is much value in it as a case study. I wanted to write about hybrid war, because as you’ll remember about two years ago hybrid war was the new boogeyman, and hybrid war was going to dominate all future wars and we had better get with the program. So I got on the bandwagon and looked to carve a niche for myself. As I began researching and brought my own thoughts and experience to bear, I found the title of hybrid warfare to be almost useless; everyone has an idea of what it is or what it looks like, and I started to apply the same thought process to some of our other models. What does counterinsurgency warfare mean? What do we define conventional war as? All of these labels that we have a tendency to compartmentalize operational thinking into were not useful. I went back to my Clausewitz and pulled out a couple of prescient quotes to apply, and to paraphrase, he describes war as a chameleon: the first thing you must do in any conflict is understand the fundamental nature of that specific conflict. You can’t apply another model and expect some sort of miraculous result, it must be treated as unique. That one thought really forced me in several different directions, and I tried to accommodate them through this work, and what it came down to was [this]: Clausewitz has a general theory of warfare, and I use a couple of quotes to draw that out. The U.S. military has gone from the general theory of warfare into what I would call middle-range theories. We use counterinsurgency theory as a way to apply warfare doctrine, we are starting from an operational level and working out (vice strategic) which is not a good way to plan, fight, or execute a war. The second piece I wanted to examine is the civil-military dialogue between our policymakers and the military. Is it functioning correctly, and in an ideal case what does that relationship look like and do we have it right? The answer I came up with is no, we don’t. As for the military, we are consulted for general advice at times, but in terms of being the foundational partner for strategic decision making, not so much. At the end of the book I talk a little about the Afghan surge and how that decision making process is a microcosm for our decision making and strategic planning. With all that said, I use the South African border war as my case study because there are so many of these “type elements” – unconventional, conventional, tank on tank, tank on armored vehicle, light infantry, clandestine ops – but the South Africans never got wrapped around the axle about what type of war they were fighting, they just fought the war according to the strategy that fit their policy aims. This is one of the perfect ways to execute a war – think about what ways and means will be, balance those, execute, and reassess. I don’t want to give too much away, but I use it as a case study to help inform, hopefully, what can be better strategic decision making with regard to future conflicts. SD: When can our readers look for your title and where will it be available? JM: It is available on Amazon, the Kindle version will be up hopefully in a couple of weeks. SD: We certainly hope you’ll join us again to discuss your research and book in greater detail. It’s been our privilege to participate in the 57th annual Naval Academy Foreign Affairs Conference and our honor to have you as our guest here on Sea Control. Thank you for sharing your time with us! LT John S. McCain IV is a Naval Officer currently serving as an instructor in the Leadership Department at the United States Naval Academy. He is the author of Angola, Clausewitz, and the American Way of War. Sally DeBoer is the President of CIMSEC, and also serves as CIMSEC’s Book Review Coordinator. Contact her at President@cimsec.org. Michael DeBoer is a U.S. naval officer. The views herein are the guests’ alone and do not represent the views of the Department of Defense, the Department of the Navy, or any other organization.